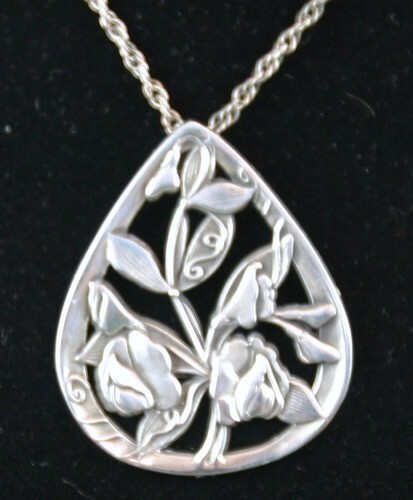 Reed & Barton sterling pendant, teardrop shape with flowers. Marked "April," "Sweet Pea" on back. 12.1 gr. total weight. NO CHAIN. Measures about 1 5/8 inches by 1 3/8 inches.